CallAction marketing automation's can do real-time reverse number data append with lead intelligence on your CallFire call tracking calls. 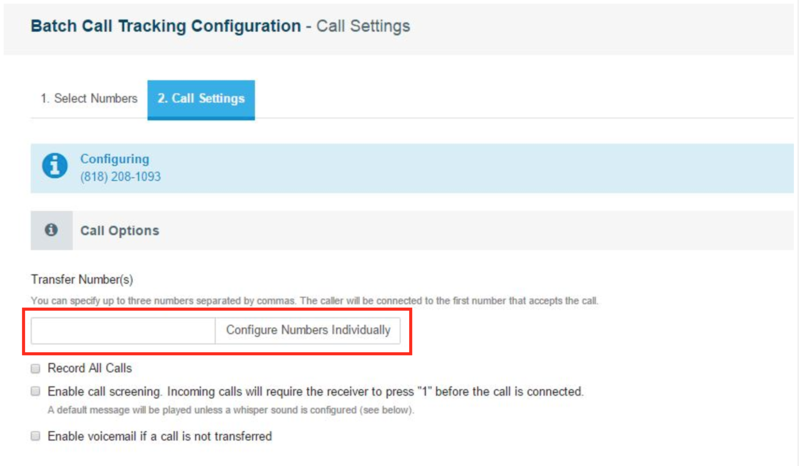 You will need your CallAction phone number to set up call forwarding from your CallFire configured phone number then setup CallAction to forward to your previous CallFire phone number destination. Click on 'Phone Numbers' on the left-side menu. Click on 'Configure' above, and select 'Configure Tracking' from the drop-down menu. Enter your CallAction phone number in the box provided. Hit the "Finalize" button at the bottom of your CallFire screen to save. Make a test call to your CallFire number to complete activation. Now all your inbound CallFire phone calls are forwarded to CallAction. Our system will do the real-time reverse number and ring your destination number. If you don't answer, CallAction will respond to engage your lead. We also do call recording and full call recording transcriptions. Any questions, please contact us via our live support chat at the bottom right. Not Currently Using CallAction with CallFire? Learn how CallAction can complement your CallFire account usage with our advanced intelligent text message marketing automation to follow-up with missed calls and text for info tools. You can signup in less than 10 minutes for a free 14-day trial.